E3 2017 is going on and it’s now the turn for Ubisoft press conference. 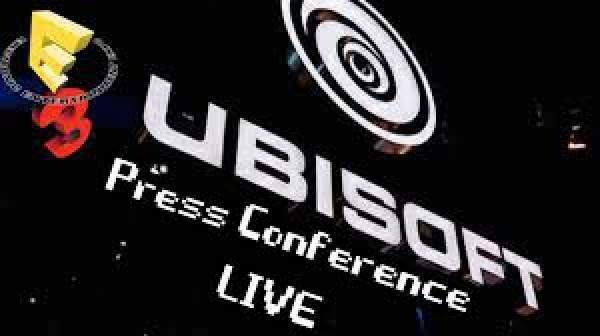 The live stream of Ubisoft E 3 is available. You can watch the video online here without any hassle. It is about to start in minutes. We don’t know for sure what is coming this time from Ubisoft’s side. But, one thing is for sure that Aisha Taylor won’t be hosting Ubisoft’s E3 Press Conference this year. Many of the fans will surely miss her. Apart from it, there is much stuff to wait for. Watch: Sony PlayStation E3 Live Stream. Far Cry 5 is very much awaited this year. It has been the most controversial title of this time around. We are expecting more news regarding the new Assassin’s Creed Origins for PlayStation 4 (PS4), Xbox One and Windows PC in October 2017. We may get to hear about Mario and Rabbids crossover title. It is going to be held on Monday, June 12 at 1 pm PDT (4 pm EDT / 9 pm BST). The live streaming video will be available on Ubisoft’s Twitch page and YouTube channel officially. A pre-show will kick off 45 minutes before the conference itself, which is a bit of a bummer for those who don’t want to miss out on anything cool from the PC Gaming Show. The rest of the schedule will be updated. So, stick around and you can bookmark the page too. Stay tuned to TheReporterTimes for latest E3 news and games‘ updates around the world.